I’m not in San Antonio anymore, that’s for sure. Instead, I am halfway across the world in Ghana, Africa with a team of my fellow Concordians and, together, we are hosting an eye clinic. 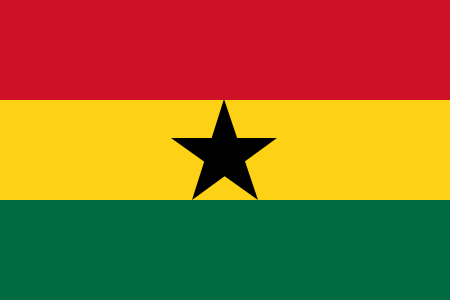 There are many people in this region of Ghana in desperate need of glasses. We have the special privilege and pleasure of providing people here with the glasses they need in order to see. In the process, we also get to point people to the One in whom they can see God Himself – Jesus Christ – by sharing the gospel. In the ancient world – and especially among the ancient Jews – it was generally presumed that if you faced a trial, a trouble, or an ailment, it was because you had committed some heinous sin to deserve that trial, trouble, or ailment. Your sin and your trouble were intimately and inexorably interwoven in ancient thinking. For instance, Rabbi Ammi wrote, “There is no death without sin, and there is no suffering without iniquity.” If you were suffering, the rabbis taught, it was because you had done something wrong. In fact, some rabbis taught that not only could a person be punished for his own sin, but a child could be punished for his parents’ sin. Some rabbis believed, for example, that the untimely death of a child was the direct result of his mother’s dalliance in idolatry while he was still in the womb! Such was the close correlation between sin and tragedy. Thus, it is really no surprise that, one day, as Jesus and His disciples are walking around and see a man born blind, the disciples ask: “Rabbi, who sinned, this man or his parents, that he was born blind” (John 9:2)? Jesus’ disciples know the teaching of their Jewish rabbis well. They know a man cannot be born blind unless there is some sin to warrant such blindness. But what the rabbis assumed about the connection between sin and trouble isn’t what a rabbi named Jesus knows about this blind man’s plight. This is why, instead of pointing to a specific sin committed by this man which had resulted in his blindness, Jesus explains to His disciples: “Neither this man nor his parents sinned, but this happened so that the work of God might be displayed in his life” (John 9:3). This suffering is not the result of this sin or that sin. Rather, God is up to something in this suffering: He is using it to display His work. The Greek word for “display” is phanero’o, from the word phos meaning, “light.” God, it seems, desires to bring this man darkened by blindness into the light of seeing. But God’s desire centers not only on the light of physical seeing, but on the light of spiritual seeing as well. In other words, Jesus, through His eventual healing of this man born blind, desires to bring this man not only into the light of the sun, but into the light of faith. And this is exactly what happens in the end: “Do you believe in the Son of Man?” Jesus asks. “Lord, I believe,” the man responds (John 9:35, 38). When this man confesses his faith in Christ, he is brought into the light not only physically through the recovering of his sight, but spiritually through his trust in Christ. All this week in Ghana, our goal is to help people see in two ways – spiritually and physically. I covet your prayers that eyes would be opened – not only by the glasses we share, but by the truth of the Gospel we proclaim! Entry filed under: Devotional Thoughts. Tags: Africa, Christ, Church, Evangelism, Eye Clinic, Ghana, Jesus, Mission, Religion, Spirituality, Witness. I had no idea you were going overseas. How exciting, how scary. I know you’ve always had a heart for mission work but this is way more than I ever dreamed about. I do hope to hear more about how it went. We’ll be praying for you.